The House of the Seasons historic location, hospitality and amenities provide a perfect weekend getaway or holiday retreat. Guest suites are located behind the house, with off-street parking available. Each suite has a separate entrance, luxurious bath, furnishings consistent with the period of the house and unique memorabilia. A friendly, courteous staff is available to answer all your questions and make recommendations. Suite rates include a gourmet breakfast served at a private table, and a tour of the historic home with a trip to the 3rd floor, called the Cupola. 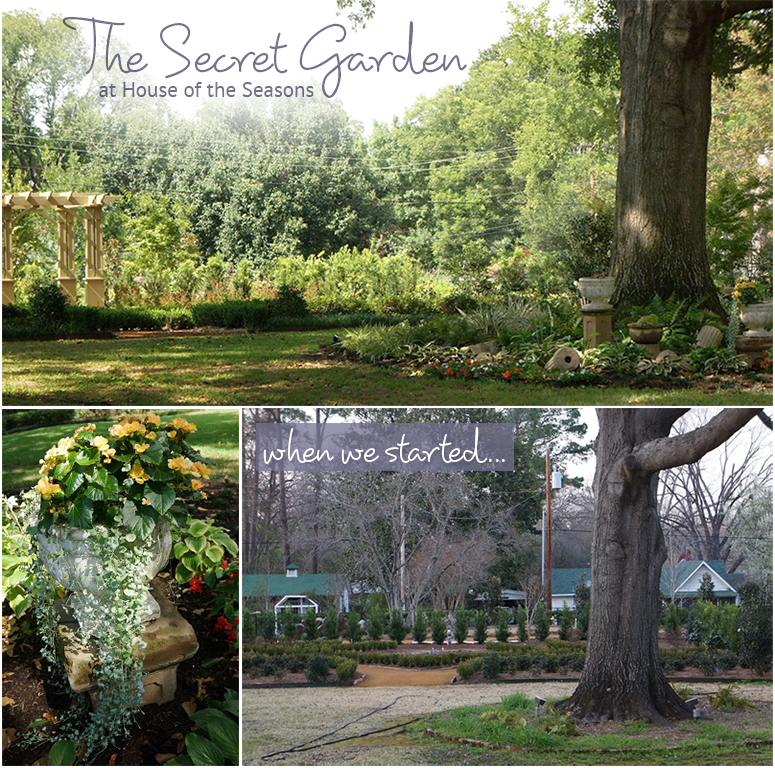 We are enjoying the development of a Victorian garden on the north lot of the property at House of the Seasons. Planting and building is underway and progress can be seen when passing by. 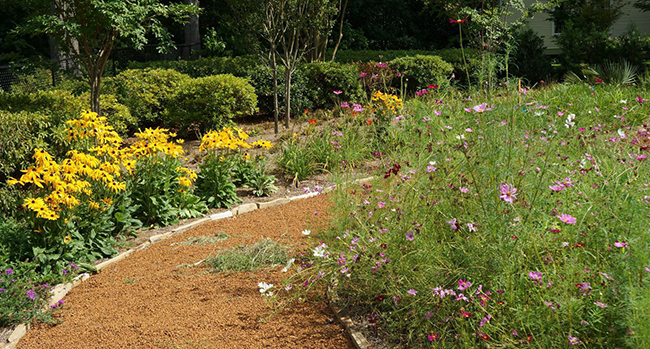 A crushed granite walkway invites you into the garden, as it meanders around the gazebo. 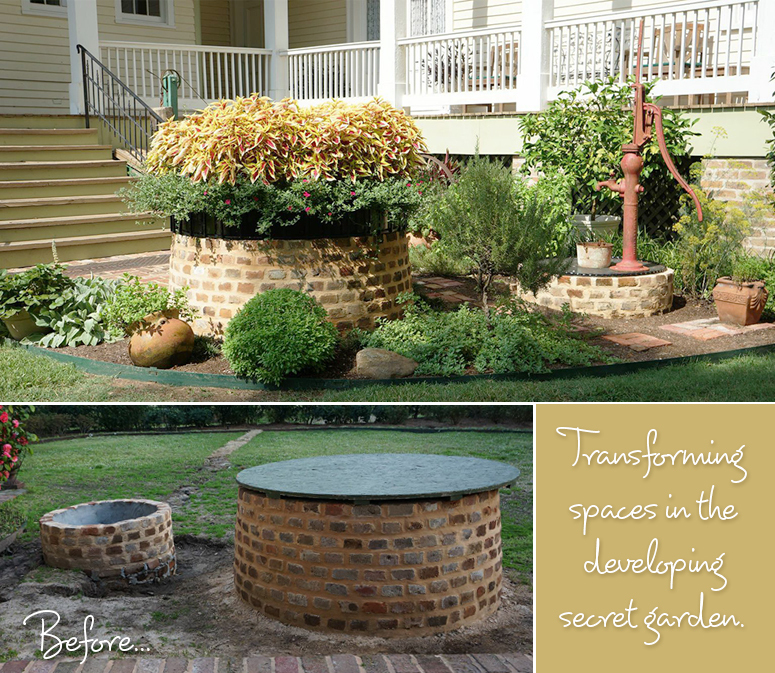 A secret garden can be seen from the house, mixed with formal plantings all around. 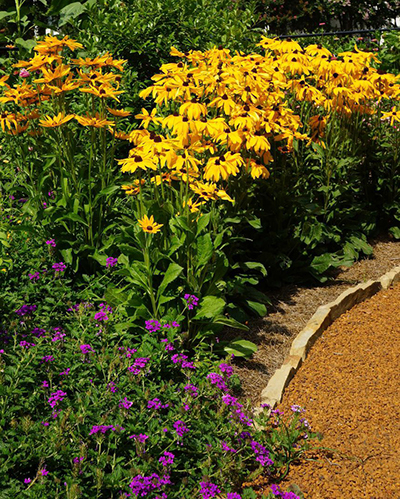 Native plants and bird baths add vitality and vibrant color. The architecture featured in the garden has been designed to reflect the 1872 design of the house. 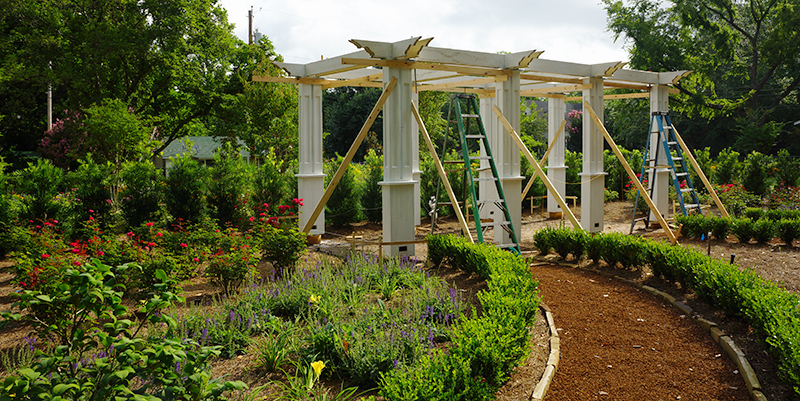 In addition to the gazebo, the garden will also feature a pergola in the center of the property. A flagstone floor, and gas lights from New Orleans will also be making an appearance soon. The Landscape Architect is Mark Crenshaw who lives on Caddo Lake (www.markcrenshawlandscape.com). The plants were acquired through Roy Coopman who currently lives in Waskom and has lived in Jefferson. Coopman also helped design the garden with Crenshaw. Rusty Tucker of Longview is developing the irrigation system which will get its water from the property’s cistern. 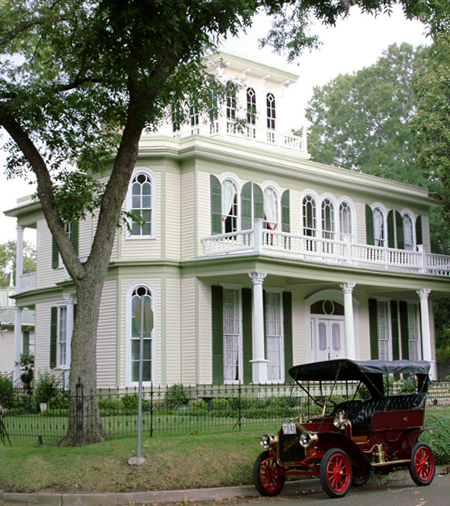 The House of the Seasons is a historical home in Jefferson that offers bed and breakfast accommodations in its carriage house. The original owner was Colonel Benjamin H. Epperson, a Texas lawyer, political leader, entrepreneur and confidante of Sam Houston. He built the home in 1872. Richard H. Collins acquired the home in 1973, and spent three years restoring it. It is now owned by the Collins Family Foundation. Guests have included; President George W. Bush and First Lady Laura Bush, Former First Lady, Lady Bird Johnson, Lawrence Rockefeller, NFL Hall of Fame Quarterback and Congressman Jack Kemp, former Bush advisor Karl Rove, Senator Kay Bailey Hutchison, Congressmen Ralph Hall, Jim Chapman, Sam Johnson, Louie Gohmert, movie star Karl Malden, and authors, Pat Conroy and Fannie Flagg. Visit houseoftheseasons.com for more information. Email seasons@houseoftheseasons.com or call 903-665-8000 to reserve space for your next event; we host weddings, receptions, holiday gatherings and dinner parties. "It was a pleasure to have met both of you. Thank you so much for the warm hospitality. Laura and I enjoyed our stay in The Seasons Guest House."